The CW cancelled its plans for Wayward Sisters, a potential spin-off to the Supernatural TV show that had a backdoor pilot last year and instead, opted to go with reboots of Charmed and Roswell. Still, the little show that could (and has since 2005) keeps ticking along, and finished season 13 as a top-three demo ratings earner for the network. Now that it’s back for a 14th season (albeit a shorter one), will the creative team’s thoughts turn to wrapping it up and working toward a conclusion, or will the Winchester brothers remain on the road, saving people and hunting things? Will Supernatural be cancelled or renewed for season 15? Stay tuned. **Status update below. A paranormal horror drama, season 14 of Supernatural stars Jared Padaldecki as Sam Winchester, and Jensen Ackles as both Dean Winchester and the latest incarnation of the archangel Michael. The CW cast also includes Misha Collins as Castiel and Alexander Calvert as Jack. This year, guest stars include Jim Beaver, Kim Rhodes, Ruth Connell, Briana Buckmaster, Kathryn Newton, Katherine Ramdeen, Clark Blacko, Yadira Guevara-Prip, Samantha Smith, Amanda Tapping, Danneel Ackles, and Felicia Day. Supernatural season 14 kicks off with Sam recruiting everyone to help him track down Dean, and since he’s possessed by Michael, he could be anywhere. Meanwhile, Castiel meets with an unreliable source and finds himself in trouble, and Jack is trying to cope with being human, since his grace was drained last season. For comparisons: The 13th season of Supernatural averaged a 0.55 rating in the 18-49 demographic and 1.687 million total viewers (Live+SD). What do you think? Do you still like the Supernatural TV series? Should this CW TV show be cancelled or renewed for a 15th season? 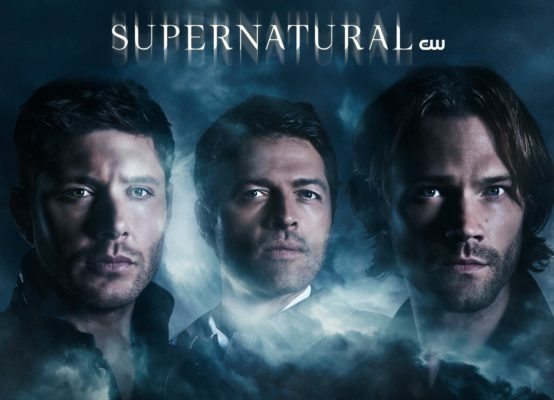 **3/22/19 Status Update: Supernatural will end with season 15 on The CW, next year. Watch the cast announce the news and get the details here. **1/31/19 Status Update: The CW has renewed the Supernatural TV show for a 15th season. Details here. Still love the show but know it cant last forever. But I see a movie series big screen. Keep Supernatural it still has a lot of viewers. This show is one of those extreme rarities where it STILL, after all these seasons, gets better and better! Incredible! I know that Jensen and Jared are good friends, and the entire crew enjoys working together. They should keep this going until everyone is old and grey! SPN is getting better In the show still rocks!